ST. LOUIS—Noting the modern interface and newly installed software, sources confirmed Tuesday that the vending machine in Kenwood High School’s cafeteria is the most up-to-date technology in the school. “This thing is great,” said 10th-grade Kenwood High student Charles Pilsen, referring to the school’s only touchscreen-enabled device, which also features a computer with a high-speed processor and wireless connectivity. “It’s so awesome to watch it suction up the snack and drop it down into the bin. 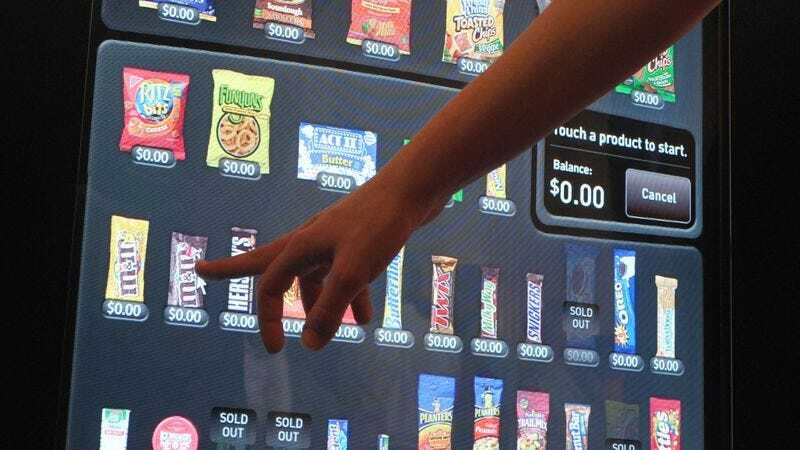 The best part is you can pay with cash, a credit card, or a smartphone.” At press time, the vending machine was temporarily unavailable as a service technician performed routine maintenance to ensure that the device was functioning properly.